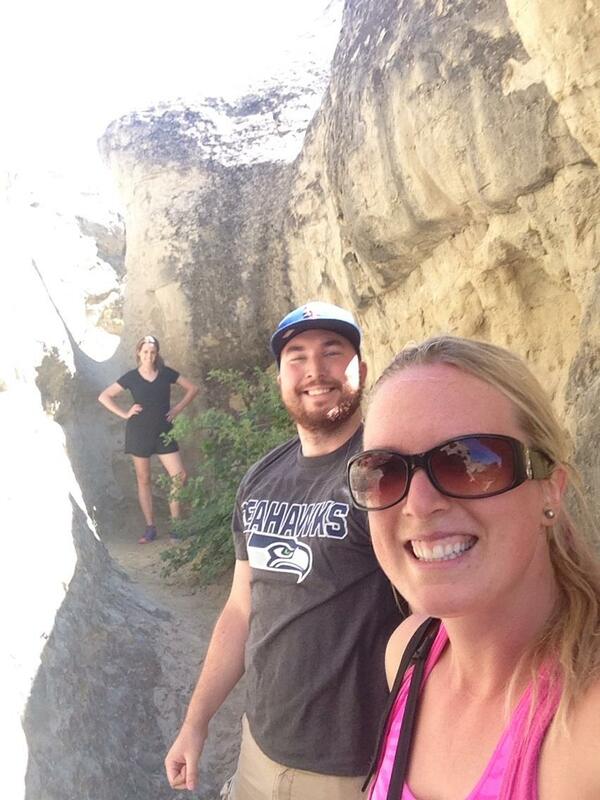 Part of my staycation included a trip to the hoodoos with my brother & sister–in-law. I’ve only done this once before and it was such a blast, I knew my adventurous brother would enjoy it. A hoodoo (also called a tent rock, fairy chimney, and earth pyramid) is a tall, thin spire of rock that protrudes from the bottom of an arid drainage basin or badland. 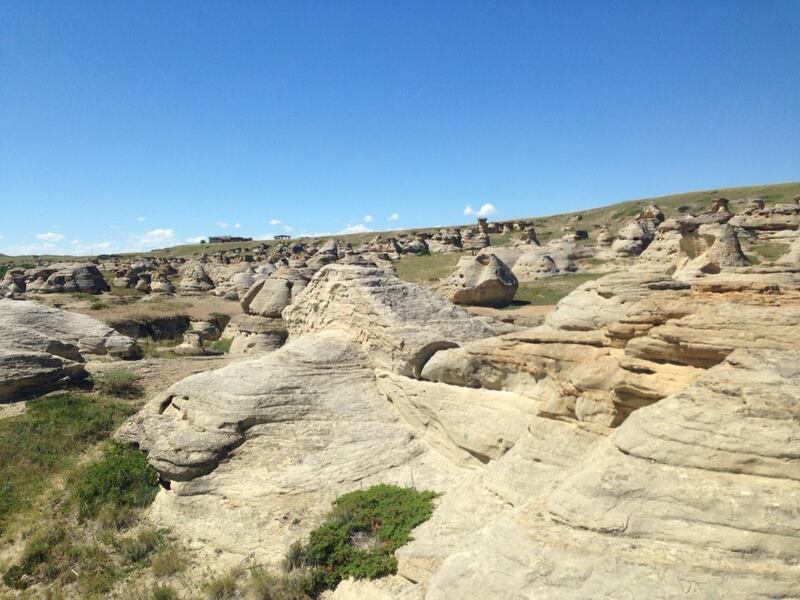 The hoodoos run along Milk River at Writing on Stone Provincial Park. We stopped at the visitor centre for a quick tour and my brother was a little wary of the awesome “hoodoos” I had talked up so much. He thought the fake ones around the centre were what I was talking about! Ha ha! We did enjoy getting to know Rex. 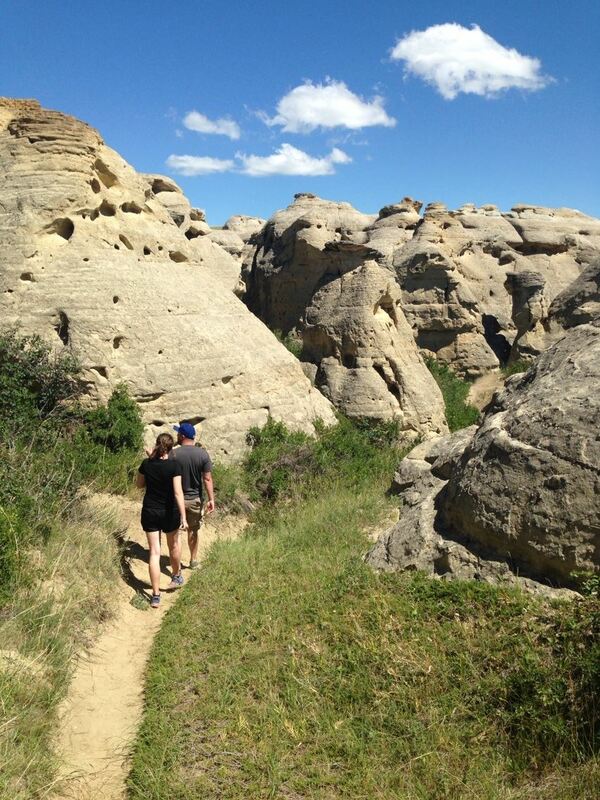 What I love the most about playing among the hoodoos is that there are a variety of different trails you can take. 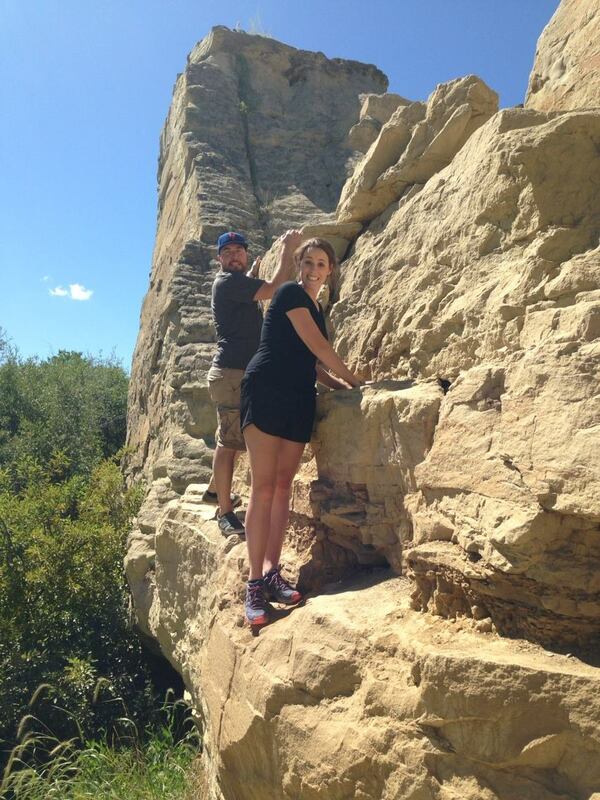 We were adventurous and climbed through nooks and crannies, along edges, up and down. It was so much fun. 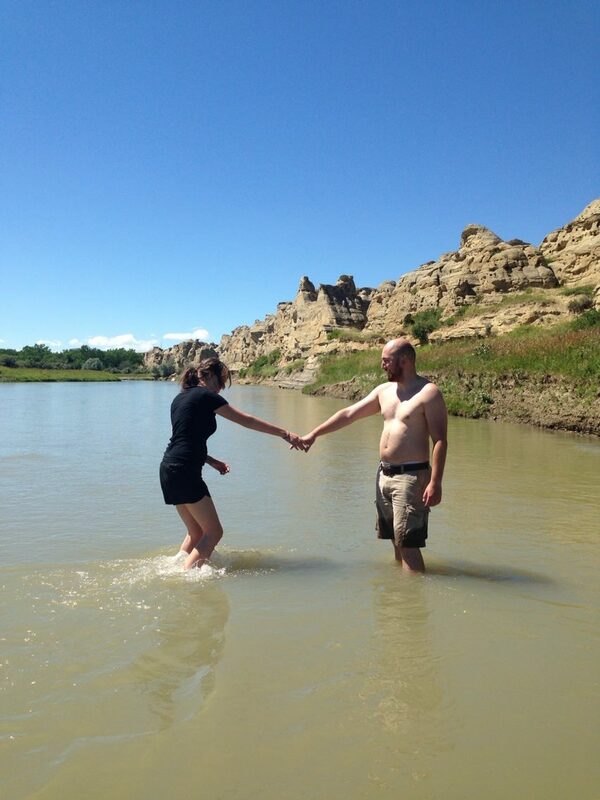 When we got too hot, we went for a dip in the Milk River. It was flowing fast but was really shallow. 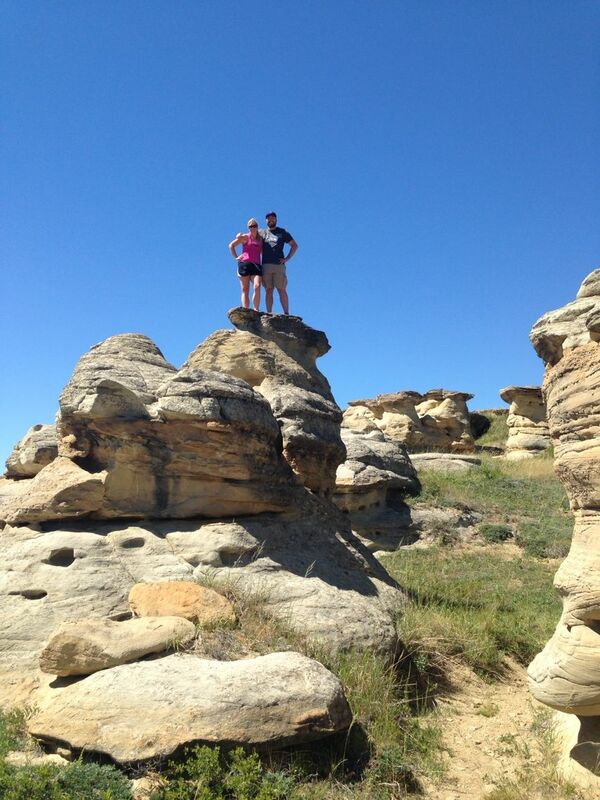 The water may be brown but it felt amazing after some hoodoo climbing in the sun! Because we were on a time schedule we had to call it a day after only a couple of hours but my siblings loved it. I think next time I’ll go with a lunch and spend a relaxing day out there. Visit the Canadian Badlands website for more information! 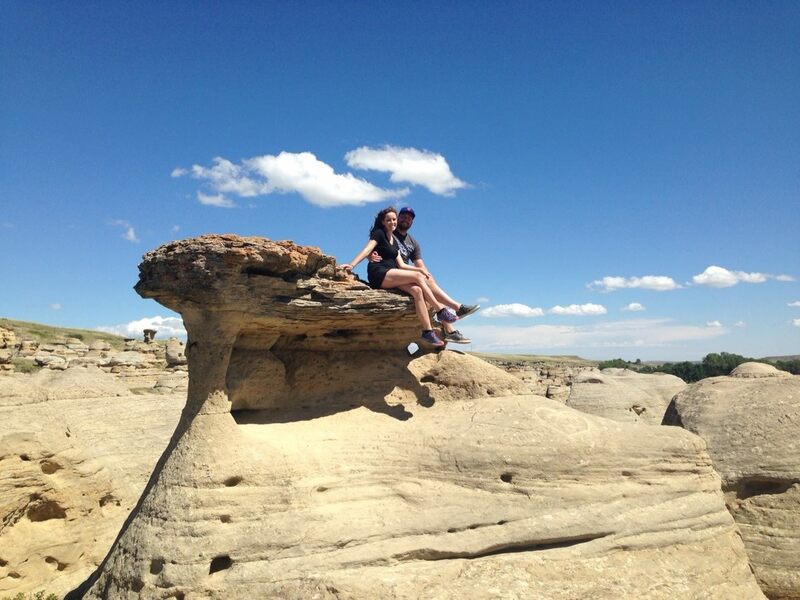 Hoodoos are so weird. That TRex statue used to be one of my most favorite things as a kid. Do you ever go to Dinosaur? I found a fossil there last year! 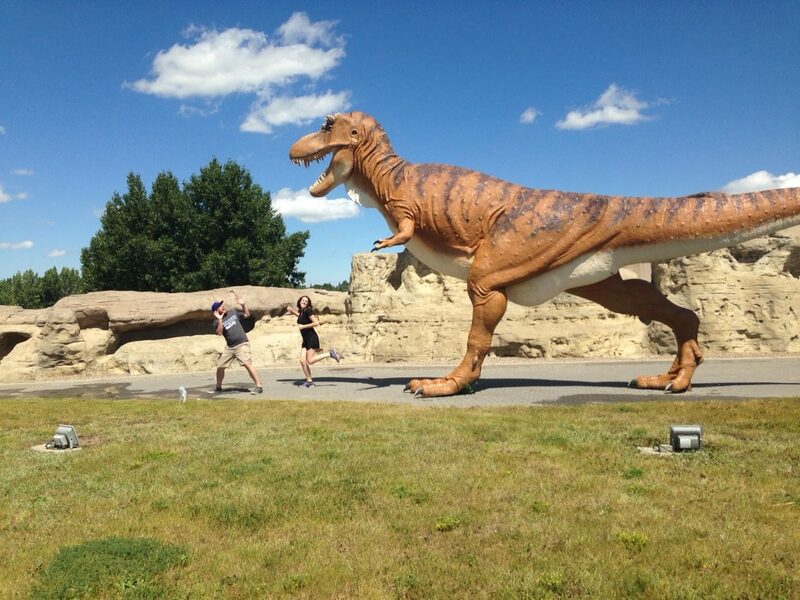 I haven’t made it up to Dinosaur yet but that’s definitely on the list! !